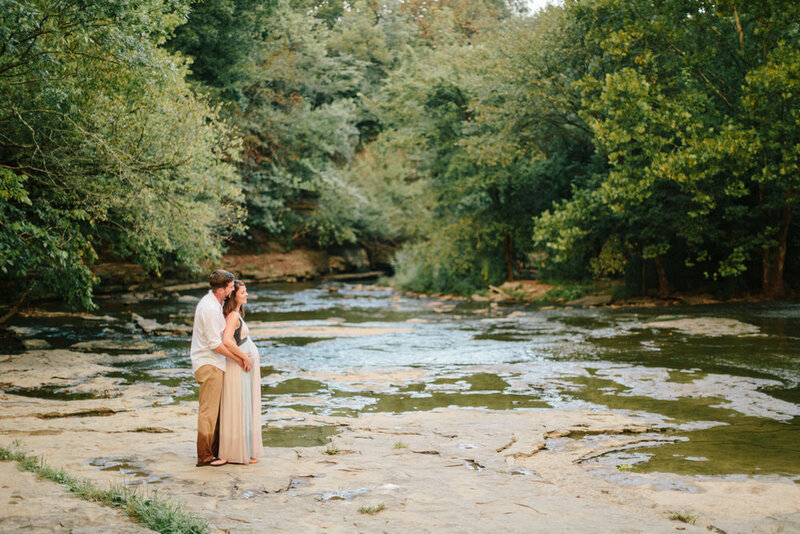 I loved getting to know Erin + Derik while I photographed their maternity session. They are so easy going and hilarious. Derik gave Erin "modeling advice" throughout the session and I was afraid I might fall in the creek from laughing so much. It was the perfect summer night to take some photos in the local creek. I'm so happy for them and I can't wait to photograph their sweet baby girl, Harlyn, when she arrives next month.